Best iPhone XS Wireless Charging Banks. 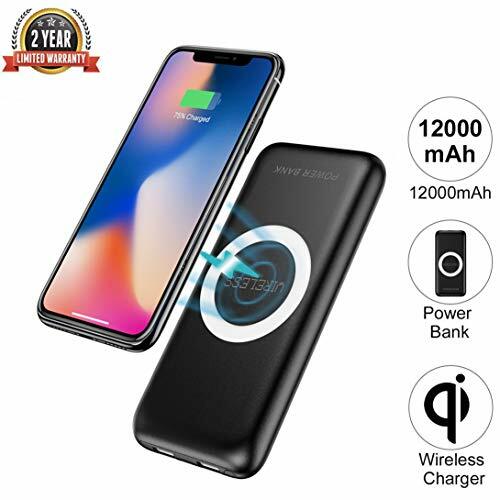 The invention of iPhone XS portable wireless charging banks was a great addition to iPhone accessories that you may require for a convenient use of your device. Enjoy the great convenience of charging your iPhone anytime, anywhere without the need of cables. Below is a list of the best iPhone XS wireless charging banks carefully selected to meet your needs. 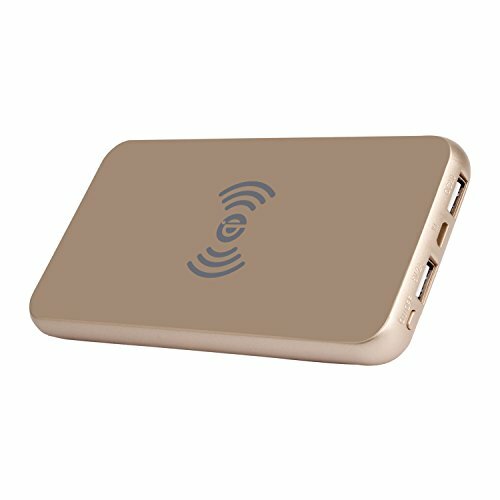 The Coeuspow wireless charging bank is worth consideration when you are choosing a power bank for your iPhone XS. It is equipped with 12000mAh rechargeable battery that can charge your device three times. Furthermore, it’s lithium polymer battery protects your device from overcharging or short circuits. This model is designed with four LED light indicators that allow you to check the amount of power remaining in the charger. It also gives you the freedom of charging your device with its case still intact. Another perfect option for a wireless charging bank. The iWALK wireless charging bank uses an 8000mAh rechargeable battery that can charge your device anywhere and any time. Its sleek design also puts it among the top. With a weight of only 5.3oz, it enables you to carry in your pocket whenever you are planning to go out. This model has a maximum power output of 5W and comes with dual USB charging ports enabling you to charge three devices simultaneously. It is also integrated with pass-through technology that enables you to charge the power bank while charging your device. Qi standard Wireless charging technology Max 5W charging speed. The Hokonui wireless charging bank has a large capacity of 10000mAh which can keep your device fully charged throughout the day. With its additional three USB output ports, you can charge your iPhone XS and three additional devices simultaneously. It also keeps your device safe from overcharging with its advanced technology. You don’t require to remove your case while charging your device. It supports an 8mm sensing distance as long as there’s no metallic object in between. This model is small, lightweight and has a curved screen design making it easier to carry it wherever you’re going. 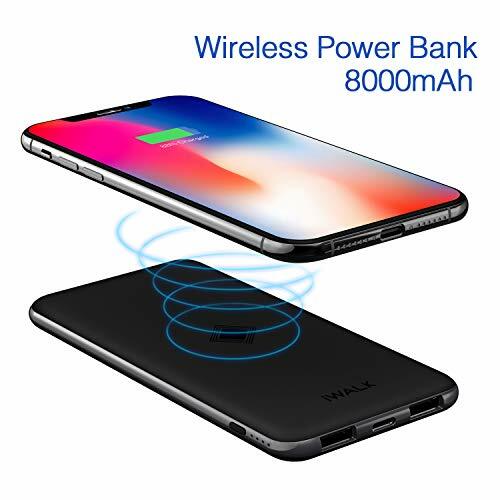 This High Capacity wireless charging bank is ideal for your iPhone XS. The KEDRON wireless charging bank has a battery capacity of 24000mAh which is higher than most charging banks. This guarantees an extra power source for your device at any time. With its smart LED Digital Display, it keeps you aware of the actual remaining power left in your charging bank to better your user experience. This makes it ideal for traveling and most outdoor activities. It is also equipped with additional charging ports to charge up to four devices concurrently. The ANGELIOX is designed to detect the optimal charge for your iPhone XS and provides your device with the required power. With an output quick charge of 2.0, it can charge your device quickly than other wireless charging banks. 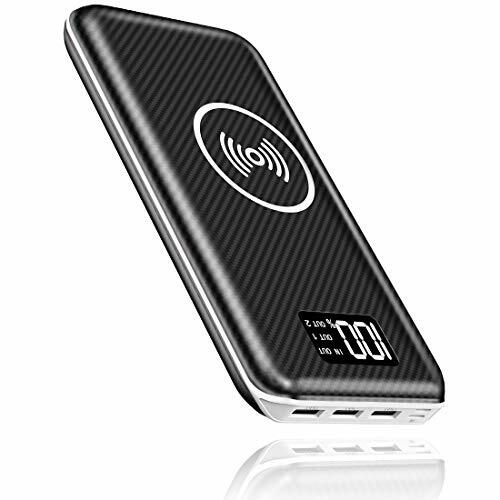 It also has a capacity of 8000mAh that ensures your device remains with sufficient power. This unit is equipped with a Polymer Li-ion battery that supports safe charging and prevents your device from over-charging and short circuits. It also supports two wired charging devices with its extra charging ports. This allows you to charge three devices at the same time. 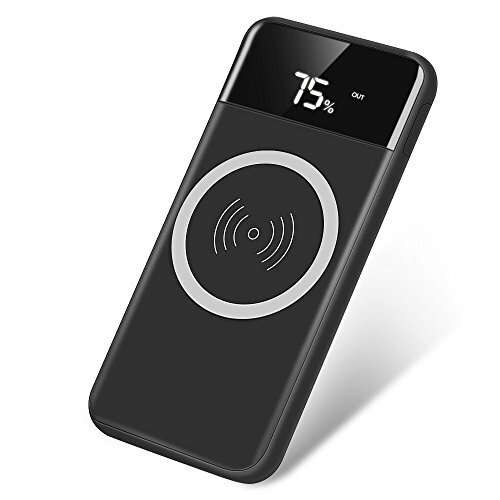 This unit’s unique design is what makes it distinct from other wireless charging banks. 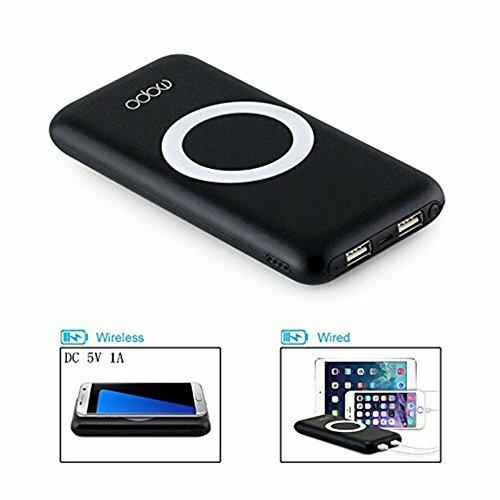 It is one of the smallest and lightest power banks currently in the market. This makes it easily portable to anywhere you are going. Regardless of its small size, it has a capacity of 20000mAh which ensures your phone stays fully charged throughout the day. The AideaZ wireless charging bank is equipped with a Mesh Protect Safety System that protects your iPhone XS from overcharging and short-circuit. It is also easy to know the remaining power in the power bank. It is designed with smart LCD Display and LED Indicators that keeps you informed of your remaining power. The MOPO Wireless Charging Power Bank is a great addition to this list. It has a capacity of 12000mAh and extra two USB charging ports enabling you to charge three devices simultaneously. Its battery is also Polymer Li-ion battery that supports safe charging and prevents your device from over-charging and short circuits. This model is lightweight and has a sleek design making it easy to carry in your pocket. It also has a wireless charging distance of up to 8mm which allows you to charge iPhone XS without removing the phone case.